Two things you need to sort out if you want make your abs show. The first thing, obviously is your diet. The other is hard and efficient abs training. Many people who’ve tried getting their dream six-packed physique have crashed and burned in the process. The reason for their failure is the fact that a dream physique is not something that can be built overnight. It takes hard work, dedication and time to get the abs that set you apart from the average person. Moreover, often times even this seams not enough. You find yourself doing hours upon hours of spine-crunching exercises with nothing but your pains to show for. The answer for your failure may lie in the efficiency of your chosen exercises (that come in second place next to your diet, of course). Although there are many movements out there that have been declared true abs-boosters, the truth is that many of them are not worthy of your efforts. We provide you a list of four exercises that fall into this description, and their alternatives that work far better. The reason why this difficult exercise that hits both the obliques and the abs found itself on this list is because it can be really damaging for the form, thus becoming highly dangerous for your overall development. Many of the non-pros find this movement extremely demanding and have a problem executing the full range of motion that it requires to target the deep abdominal muscles. This can result not only in bad form, but in spinal injury as well. So, before going for the side bend, we recommend you to master the basics first. In order to perform this exercise correctly, first you need to learn the isolation hold with perfect form. Take the weight in just one of the hand. Your hips and knees should form a straight line with your spine. Continue by contracting the core and activating every surrounding muscle as you go through the motion. Make sure that you are bending at the waist, and not swaying your hips. The alternative to this loaded exercise is the tempo side-plank crunch, which tenses your muscles without the use of weight. The exercise activates the core muscles, which are involved in stabilizing the spine. In addition, it activates the gluteus medius to link the hips to the abdominals. Start by mastering the side plank by holding your muscles in maximally tensed contraction. Make sure that you can manage to hold the position for at least 20 seconds. When you can handle this, it’s time to progress with the movement. Follow by incorporating side bend crunches. Start by slowly descending the hips toward the ground, and return back up with explosive side bend. The decline sit-up is probably the most exploited abs exercise that can often inflict more damage than good. Although this exercise can be beneficial for the more advanced bodybuilders, it requires precise form, tempo and focus to rip all its benefits. However, as most of trainees tend to perform it by adding front-sided load, this old school abs exercise can backfire with a world of pain. The primary problem of decline sit-ups is that it can puts great stress to the lumbar spine. Most of the people who start practicing this exercise tend to look at it as similar to the horizontal sit-up, as it involves similar motion and hits the same muscle group. However, in essence these two movements are very dissimilar as they require subtle alterations of the movement, making this exercise potentially very harmful if not executed properly. The distinguishing feature of these two exercises is the angle of decline sit-ups which requires greater force and range of motion. By increasing the angle you force a greater momentum for initiating the movement. At the same time you increase the range of movement, and although this forces a greater effort from your muscles, can at the same time increase the chances of injury. Namely, when you repeatedly force your spine to flex all the way down you risk causing structural and soft tissue damage, and open the back door for debilitating injuries. The decline sit-ups pose a great threat to your form even when performed perfectly, and can be devastating when people tend to add in some difficulty. So, even when you choose to add them in your routine, try avoiding the following: Do not increase the speed. Try performing them with steady tempo. Try not to use additional weights. Even when you do, use them with moderation. Don’t twist your torso at the end of the flexion. And never overdo in anything when it comes to this exercise. If you want to continue using this exercise, you should learn how to perform it perfectly. Focus on abdominal contraction, keeping your spine as neutral as you can. Any sudden and false movement can have devastating consequences. The alternative to this exercise is the 90-degree vertical plate press, which activates the abs through serious core involvement. The mechanics of this exercise are simple to master. Bend your hips and knees taking a right angle. This will prevent the activation of superficial hip flexors. Take a weight plate holding it in front of your chest. Press up, extending your arms with controlled movement. The exercise hits the rectus abdominis, which is the main spinal flexor which extends from the sternum to the pelvis. This exercise has an additional advantage. Namely, as you progress with its execution, you can increase the weight making it even more efficient. This is something that the sit-ups will never be able to deliver without the negative impact on the spine. The surge of spinal biomechanics heralded by Stuart McGill seems to have announced the death of the traditional crunch as the primary mean for getting six-packs. The crunch, which in reality produced little to no results, suddenly became as obsolete as a landline phone. The plank entered the stage of abs exercises as the saviour of our lower back with the ability to provide you the same, if not better, results as any old crunch. Although the plank started with noble intentions, it turned out that it was just another smoke and mirror show. That’s not to say that the plank doesn’t have its own good sides. For instance, it does minimize the stress brought on to the spine with crunches. Yet, it also lacks consistency in core training. One of the best aspects of the plank is that almost anybody can do it with little to no problems. All it takes it to put your elbows to the ground, straighten your back, and hold the position for several minutes. This should deliver a solid core, without the pain in your lower back and the risk of injury. Well, at least it’s supposed to deliver. The problem of the traditional plank is that it doesn’t offer deep core activation on the long run. This is due to the fact that the difficulty of the traditional plank is increased by extending the time of the hold, or by using greater external load. However, this can make the exercise damaging for your body, causing postural dysfunction and ligament trauma, because the core isn’t supposed to remain tensed in isolation for an extended period. The more effective alternative is the RKC Plank, which much more challenging move. Since it requires greater effort and is more dynamic than the traditional plank, this variation can be used both as a warm-up exercise or a metabolic finisher. In the RKC plank, your arms are placed slightly forward than in the traditional plank, with the elbows lying more narrowly on the floor. Interlace the fingers and lift yourself to a position, with your feet opened at shoulder width. Once in position start contracting the glutes and quads. Hold until your whole body starts to shake. Although this exercise is one of the greatest fads, it might be one of the most riskiest exercises for your spine and overall form. 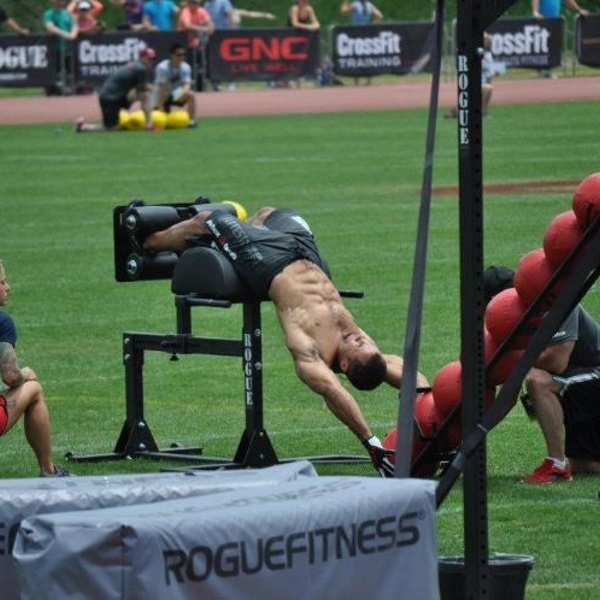 It hit the mainstream with the CrossFit games, which had huge international viewership. And although the people responsible for CrossFit did at one time acknowledged that this even can be potentially dangerous even for the more experienced athletes, they’ve never removed it from their programming, adding to its popularity. The truth is that this exercise is so dangerous that it has debilitating results on your body and should be avoided at all costs. The alternative to this exercise is fairly simple and called the overhead med-ball slam. While the overhead med-ball slam utilizes the same movements and dynamics as the GHD ball toss, it also greatly stimulates abdominal activation and at the same time it maintains the link of the core with the upper body. As this exercise relies on functional ranges from your spine and hips, you also reduce the risk of injuries to your lower back and pelvis. This also allows an increased intra-abdominal pressure from the core musculature, which will help you with the other compound movements.